It’s freaking cold here in NYC. I know it gets cold every winter but sometimes, I’m just not ready for it. Working from home is a perk, especially during the winter. However, if I absolutely must go outside, I make sure I’m wearing a really cute and warm coat. I’m a huge advocate of creating an outwear wardrobe. 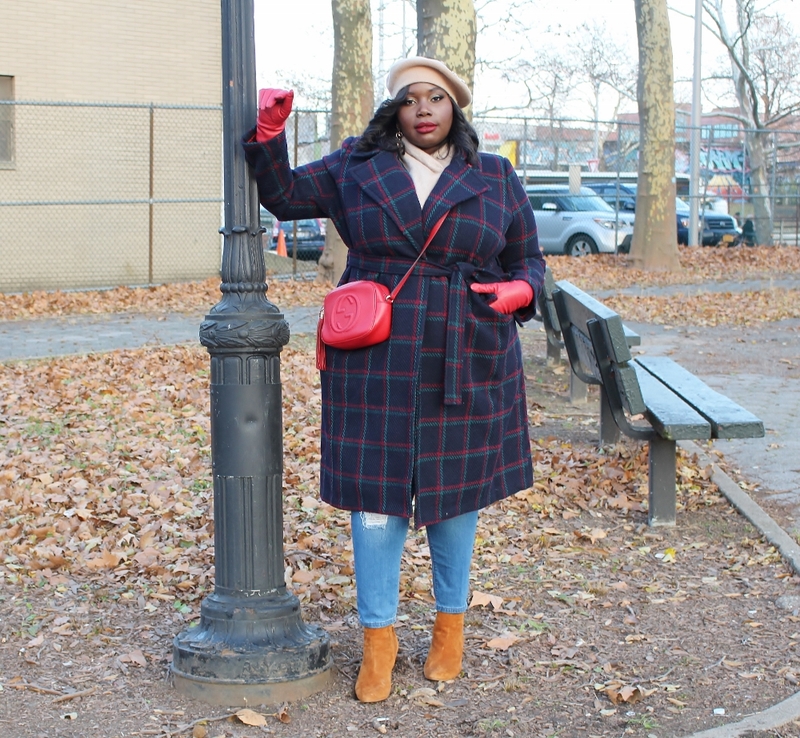 I believe that every woman should have (if your budget allows) atleast two winter coats. 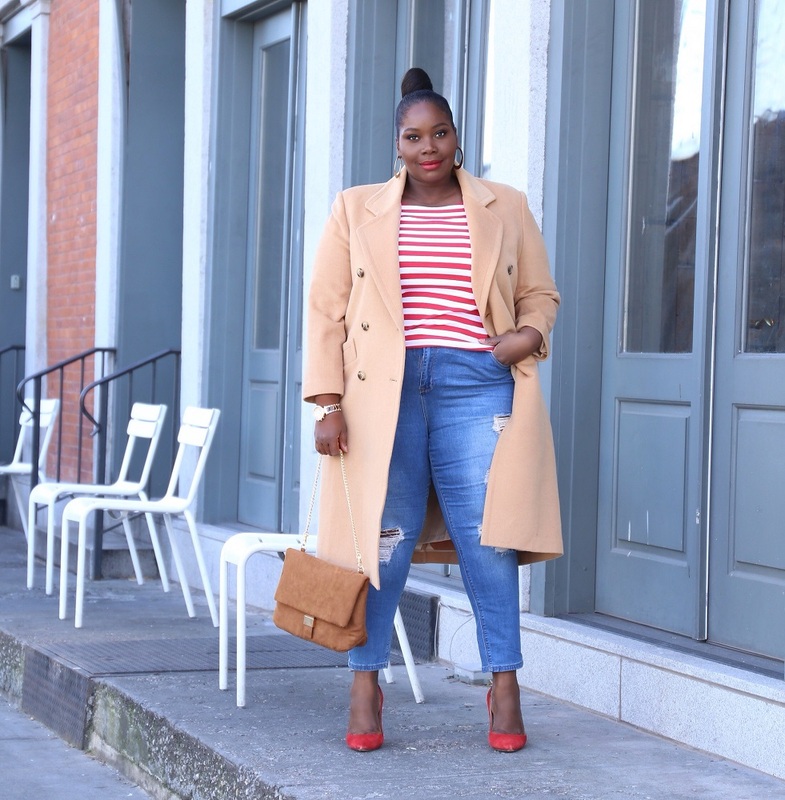 A classic style and a statement coat (you can read all about that HERE). In addition to having a stylish winter coat, you need stylish accessories to give your outerwear personality. When it comes to accessorizing my outerwear, I go all out. 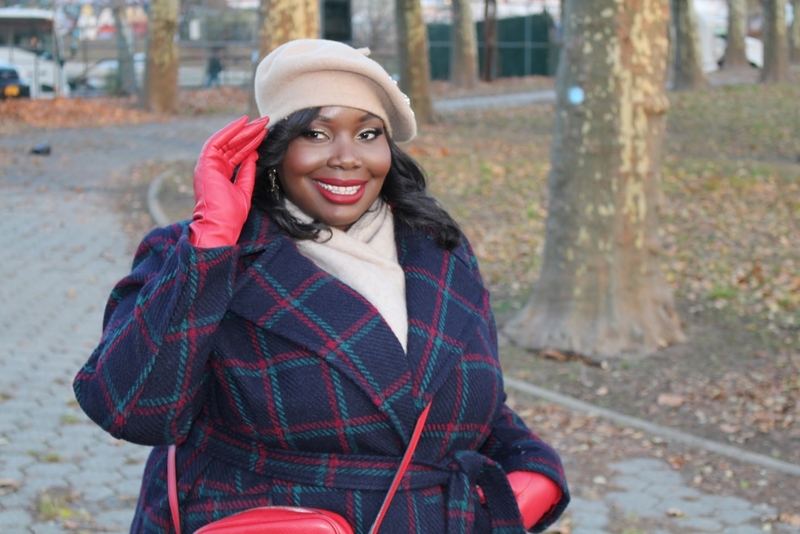 I love hats, gloves, scarves, and a coordinating handbag. Recently, I added a plaid robe coat to my wardrobe and found some snazzy accessories to compliment the style of the coat. Most people just grab any old hat and scarf to rock with their outerwear. While that’s okay, I wanted to share a few tips with you on how to style your outerwear and give it a little more personality. Obviously, since its cold, you should put a hat on. Berets are a classic accessory. I like the ones with jeweled details on them. 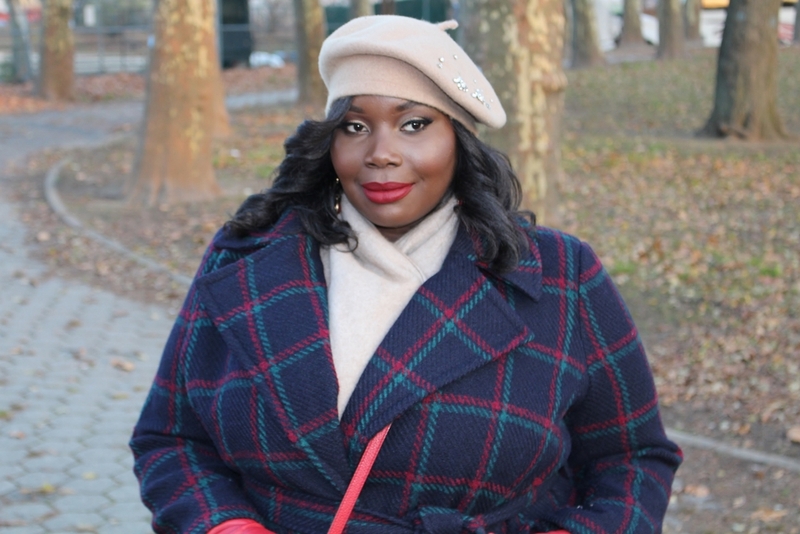 If you’re not into berets, try a wide brim hat or a cute knit hat. Scarves are probably the most simplest way you can style your winter coat. Swap out a black scarf for something a little more colorful and fun. Try a bight color scarf or a printed style. You can even glam things up by trying a faux fur scarf. Just make sure it compliments the look of your coat. Go for leather (or faux leather) gloves. Leather gloves just makes your outerwear look chic. You should coordinate your handbags with your coat. If you have a dark coat, try a light colored handbag. If your coat is bright, then try a neutral colored bag. 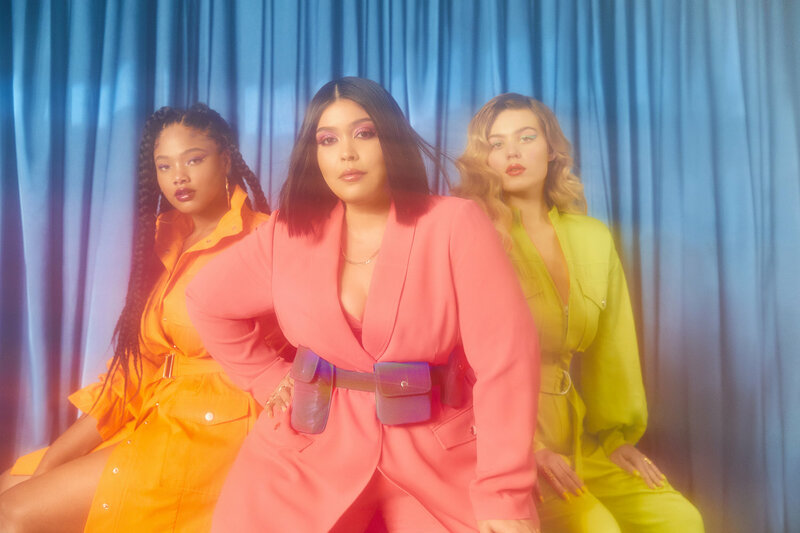 When it comes to accessorizing your outwear you want to go for accessories that compliment your outwear but standout enough to make the most basic coat statement making. How do you accessorize your outerwear? I read this article and found it very interesting, thought it might be something for you. 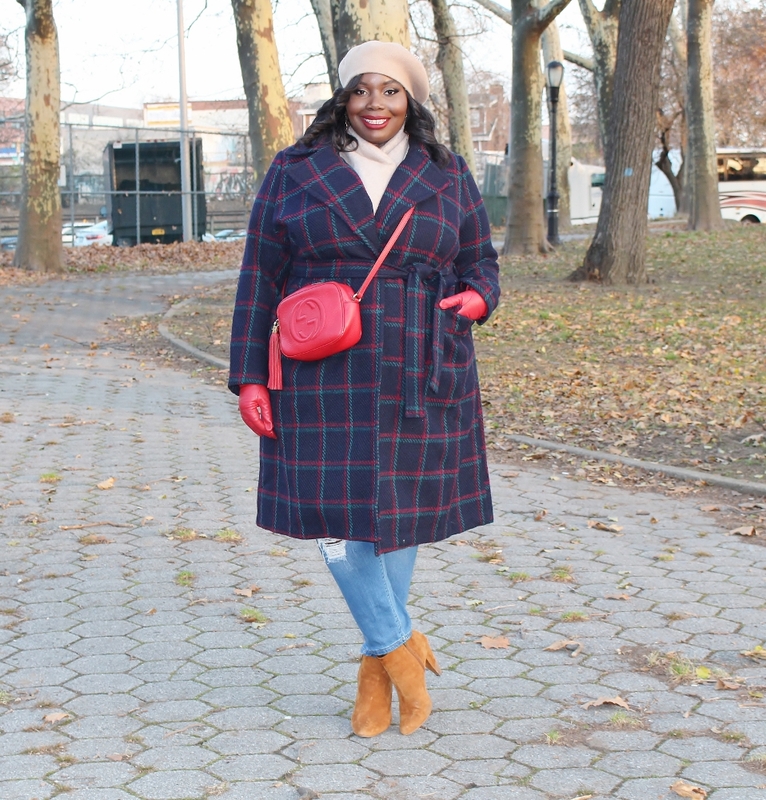 The article is called How To Accessorize A Winter Coat and is located at https://stylishcurves.com/style-winter-coat/.